For many months I have wanted a mini succulent garden to call my own. I saw different types in my research, including living frames that hang from your patio wall, small pots with individual succulents dotting the indoors or vintage furniture cleverly filled with the diminutive beauties. I was leaning toward the living frame, but couldn't decide where to put it. I had bought a few succulents in preparation and took them outside one day to get some sun. 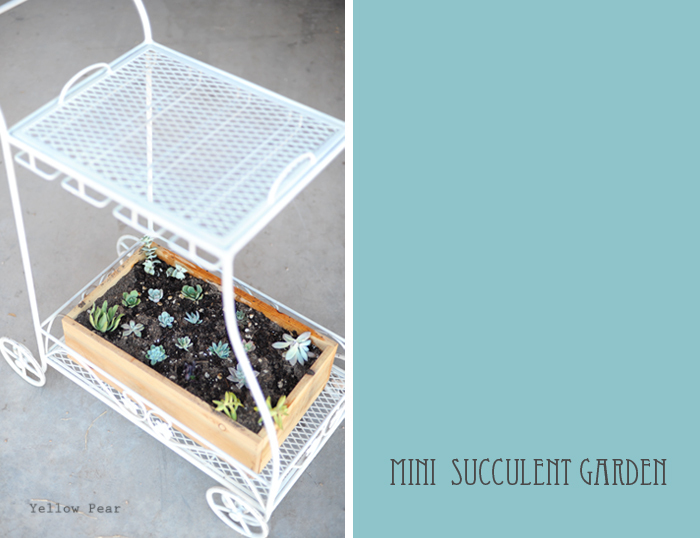 I set them on my adorable patio beverage cart...and they looked so lovely sitting there, that inspiration struck. 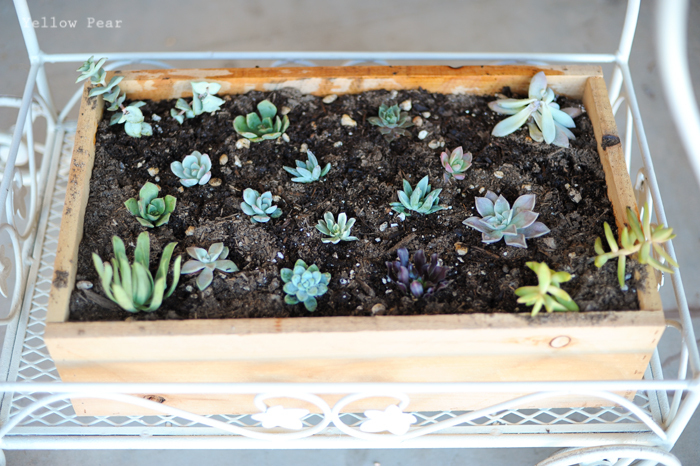 I had my hubby build me a very simple box that I filled with cactus soil. 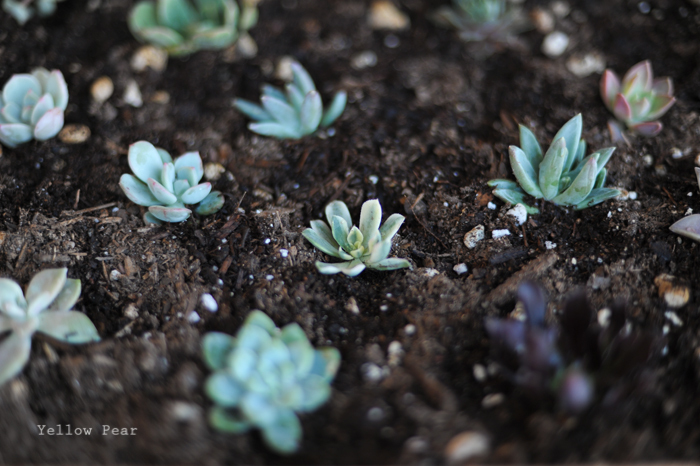 Next I planted the succulents that I ordered from here. I planted them a few weeks ago and most are doing swell. Two of the corner ones are not doing so great. I bought them previously at the hardware store, and I think I nearly killed them with excitement (or not enough sun) before finally getting them planted. But the rest are thriving and so far have been so easy to take care of (cross your fingers). I am excited to see if they grow and fill the garden more. I love looking out my window in the morning to see them brightening the patio. They are very very lovely indeed. And they look like miniature rows of cabbage, which makes my want to squeal and talk in a very high-pitched voice because they are so cute and tiny.